Oh glorious autumn….the cool crisp weather, the falling leaves and the delicious flavors of the season! I am not a fan of winter at all but fall…..I love, love fall. I wish after Fall we can skip winter and proceed to spring so that after the bright reds, yellows and oranges of autumn we will immediately be treated to the delightful sight of vibrant green. Alas that is not possible – so why not just enjoy the short fall season with some delicious treat? That’s what I intend to do beginning with our first fall recipe this season. 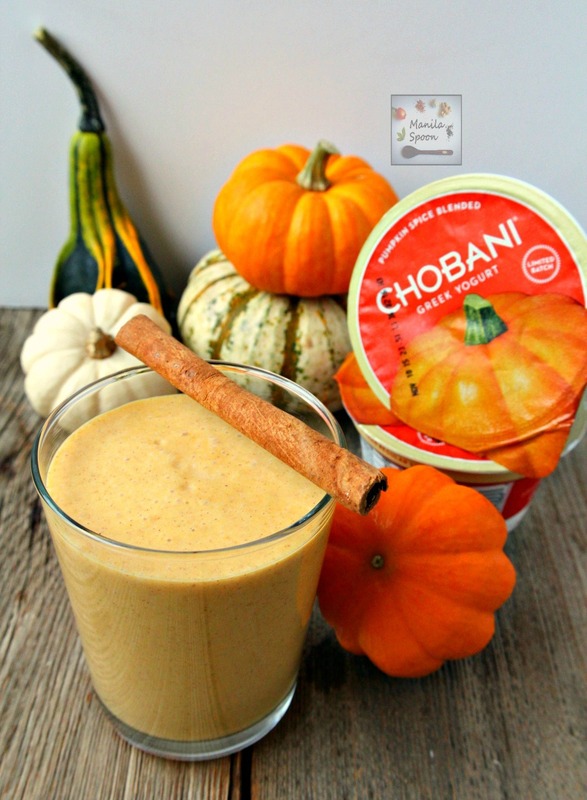 When I received these Chobani Pumpkin Spice Greek Yogurt, I was really excited! I immediately opened one tub and had it for my snack. I really loved it! It had the subtle hint of all my favorite fall flavors and spices! This inspired me to make a fall drink based on the classic Indian beverage – Lassi. I love Mango Lassi and we never fail to order it when we go to any Indian restaurant. A Lassi is a yogurt-based drink blended with fruit, water or dairy and spices. Since I already have the pumpkin-flavored yogurt from Chobani I thought it would be perfect to make a fall-inspired Lassi. To retain some Indian flavor in the drink I added some ground cardamom. If you cannot find cardamom or are unfamiliar with it, feel free to sub it with your other favorite fall spices like ginger, nutmeg and cloves. Please enjoy! *You may substitute the above spices with ground ginger, cloves or nutmeg especially if you cannot get or do not like cardamom. Feel free to experiment. 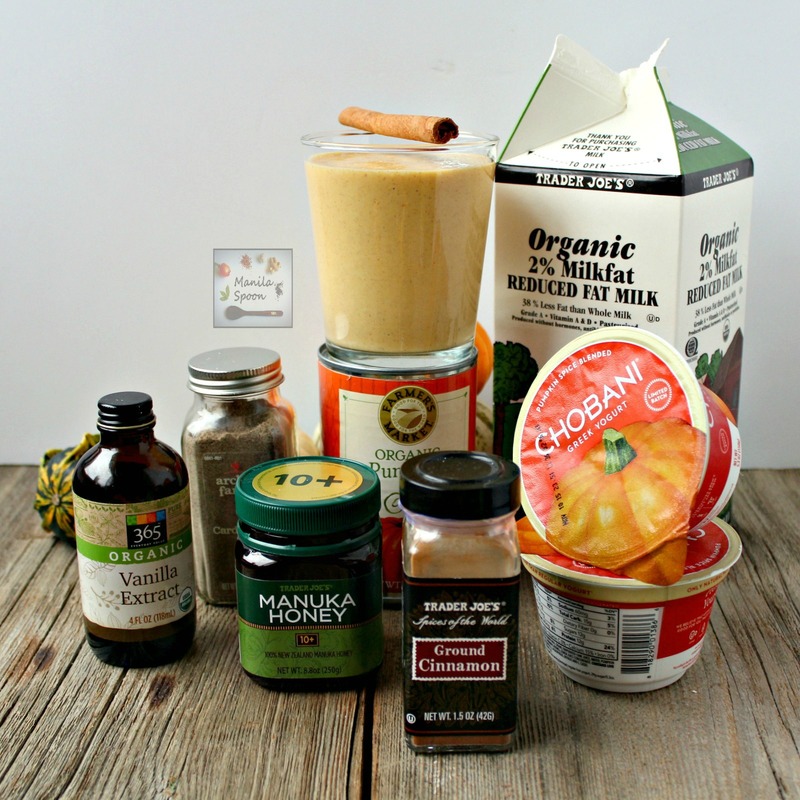 Place all the ingredients in a blender and mix for about 1 minute or until everything is well-blended and smooth. Pour into individual glasses and serve immediately. Top with sweetened whipped cream if desired. Garnish with a cinnamon stick (optional). wow, love lassi! i can't wait to try this holiday version. YUM! This is such a creative idea! I love it. Pinning to my Pumpkin board asap. I love, love, LOVE this! 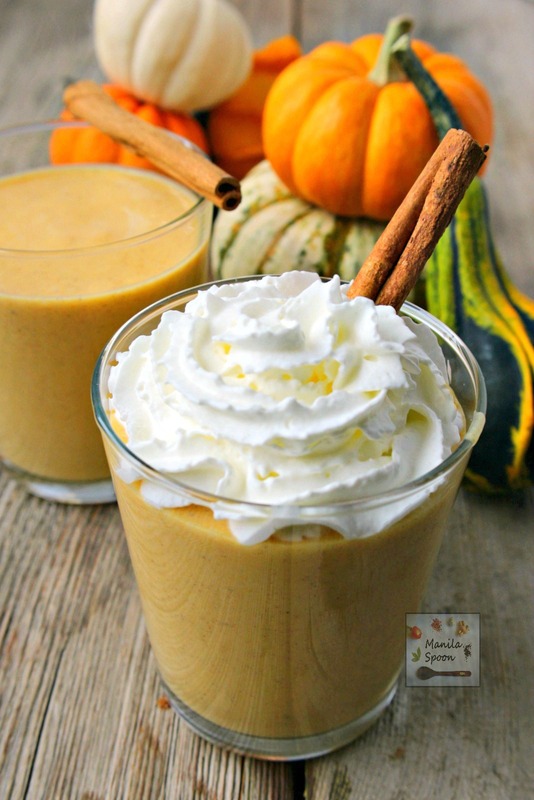 I just can't get enough pumpkin at the moment 🙂 I am definitely trying this. Hope you like it Dannii! Our lassi sounds amazing. We love mango ones and this is sure to be a favorite, too. What a neat idea! I love Mango Lassi so I imagine I would enjoy this too. Thanks! Hope you like it Mirlanda! Thanks! That is my favorite seasonal yogurt flavor, and this is such a fun drink! It looks so delicious! 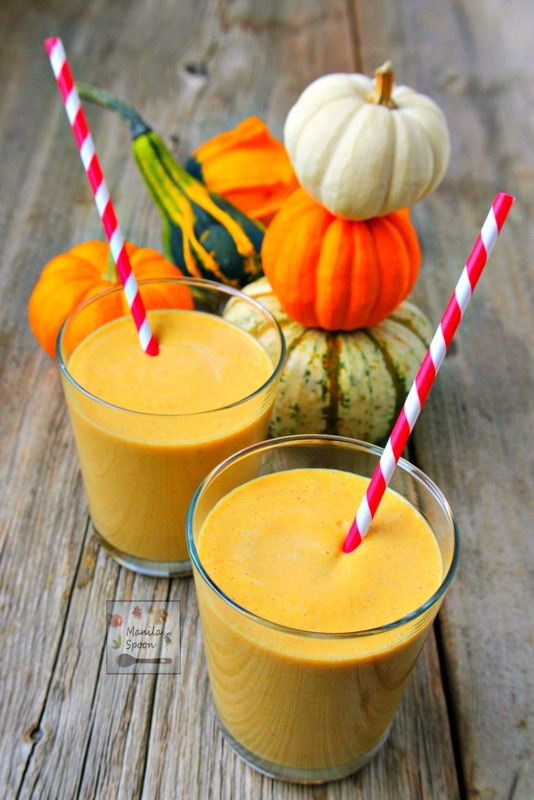 Thanks, Faith and I really love this pumpkin yogurt – so delish! YUM!! I love everything pumpkin this time of year. I must try this. We are chobani fans here! That's good to know Erin! Love their products, too! Woah, I had no idea you could pumpkin spice yogurt! This looks decadent! Thanks, Elena! Yup, it is certainly possible!